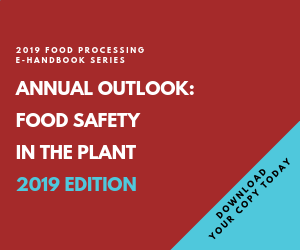 No matter what branch of the food and beverage industry you're in, the types of products you manufacture, or the size of your company -- product safety is every producers' first priority. Eliminating food-borne illness and preventing product contamination is a complex, multi-faceted process that requires strict adherence to food safety rules and cooperation from your employees, your suppliers and your customers. Manufacturers who source ingredients and finished products from WILD Flavors, Inc. know its system of food safety and security is second to none. The company's rigourous framework of procedures and guidelines, technological innovation and risk management assures customers' production of quality and safe products. Throughout the company's history, WILD has responded to the demand for safer ingredients by developing production practices to address customer and consumer concerns about product safety. By performing risk assessments and developing action plans that contribute to the security of the products they produce, WILD has done its utmost to ensure the production of safe, wholesome quality goods. This dedication to safety and security is evident upon visiting the WILD manufacturing facilities in both Erlanger, Ky. and Mississauga, Canada. Along with safety and process certifications, WILD maintains excellent HACCP (Hazard Analysis and Critical Control Point) regulations and GMP (Good Manufacturing Practices) criteria. The outcomes are quality, safe products as well as safety and security for employees and customers throughout the facilities. Finished goods are packaged in UN/DOT-approved materials, including boxes, drums, totes and jerricans. Transportation of finished products to customers is accomplished through dedicated trailers sealed by WILD employees. WILD maintains use of inspected, approved trailers through bonded, insured carriers with direct transport to customers. WILD fully understands the need for enhanced security to assure customers that its products are safe and made with the greatest degree of quality. The results of the company's strict criteria include unsurpassed customer satisfaction and certifications from a variety of industry/governmental agencies. Every employee within the organization is devoted to concept development as well as the creation of products with the highest standards. There is no higher benchmark than safe processing systems and practices that facilitate the consistent creation of healthful, high-quality products. That's WILD's unrelenting goal today and for the future. WILD Flavors, Inc. completed ISO certification in 1998 -- less than a year after moving into the Erlanger facility. The ISO certification provides direction for WILD's customer-focused organization with a process approach for continual improvement. In February 2007, WILD's North American facilities (U.S. and Canada) were re-audited to the ISO 9001:2000 standards and received excellent ratings. WILD continues to set the standard for all members of the ingredient industry through its commitment to high quality. WILD Flavors, Inc. also completed ISO certification for the Food Safety Management Systems, ISO 22000, in February 2007. WILD's certification within this standard continues to demonstrate the company's dedication to food safety within its entire supply chain.